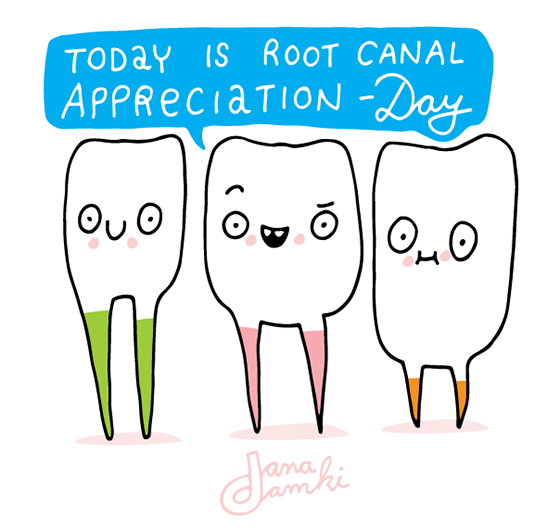 Tooth pain is not a laughing matter and for anyone who has experienced that discomfort prior to having treatment from an endodontist, Root Canal Appreciation Day is a big, big event. For teeth that have been damaged or irritated to the point of infection, the root canal procedure not only prevents worsening or abscess, it also preserves the tooth and maintains the integrity of the natural bite. its really nice to know that you also took the initiative to promote this. Happy second part of the weekend!